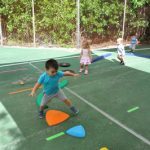 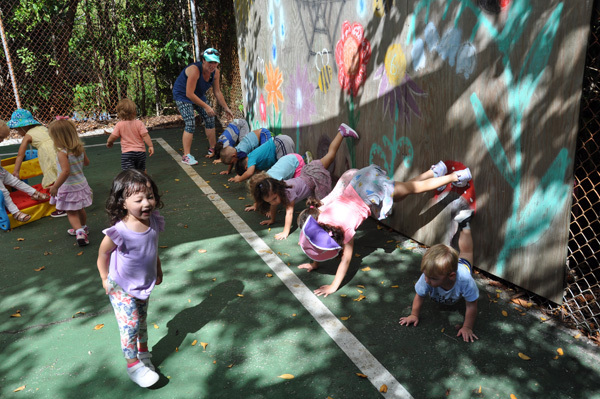 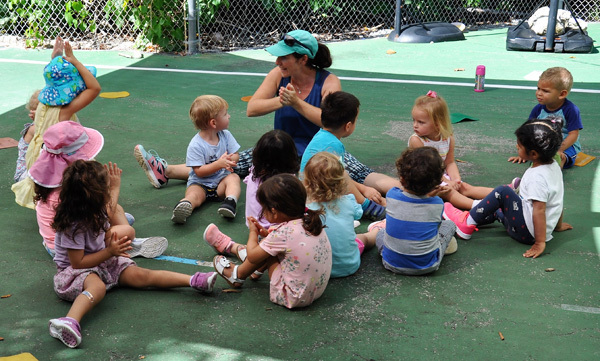 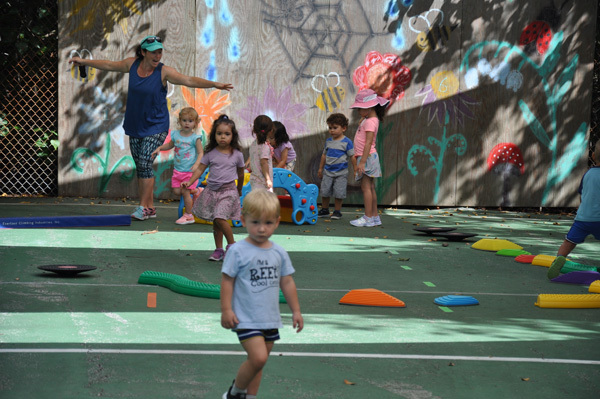 The first two months of Physical Education with the Toddlers have been wonderful, and I have really enjoyed getting to know all of our lively and little movers and shakers! 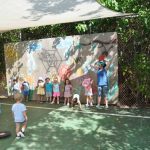 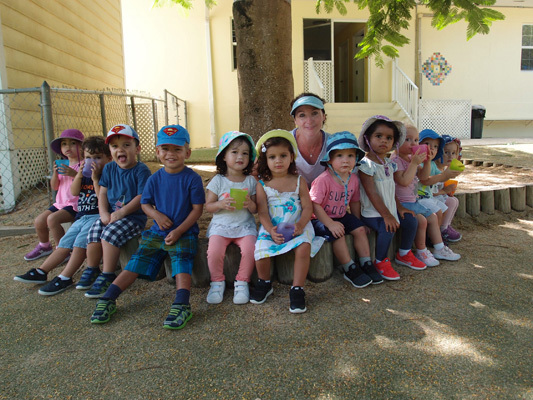 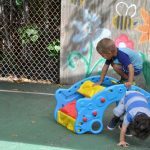 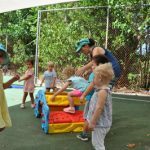 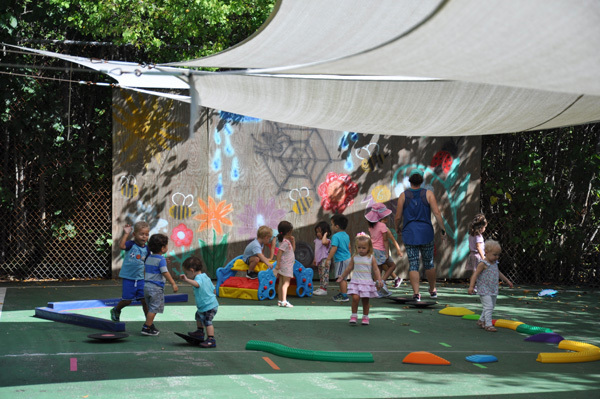 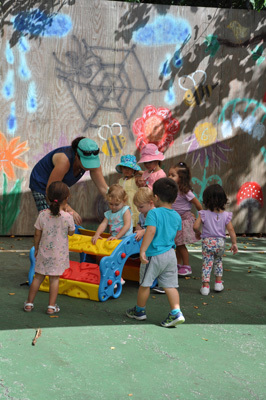 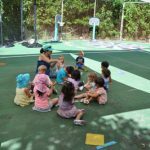 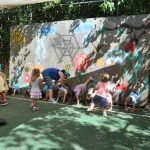 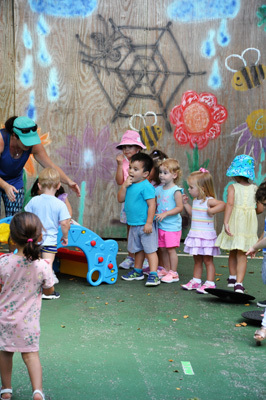 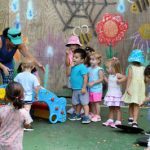 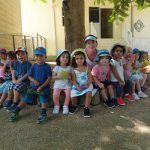 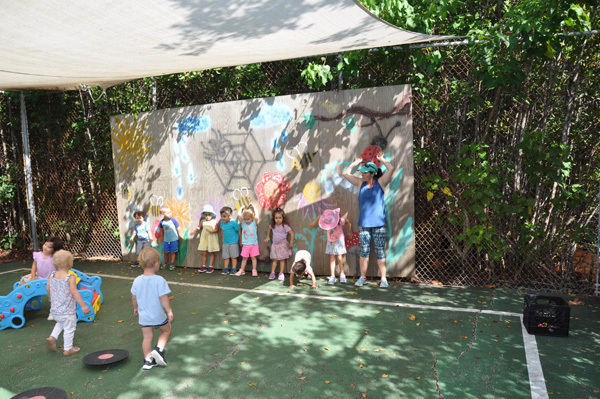 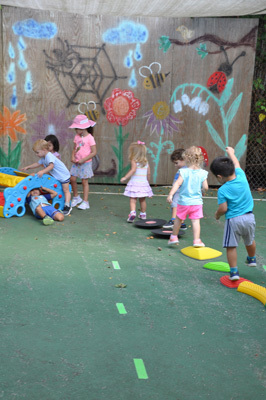 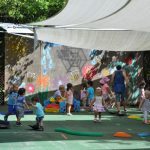 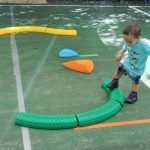 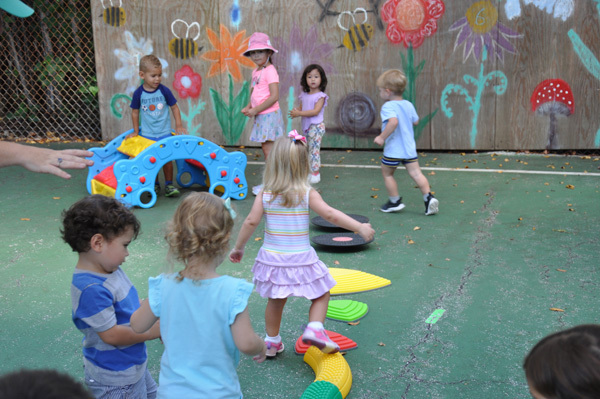 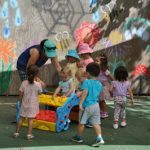 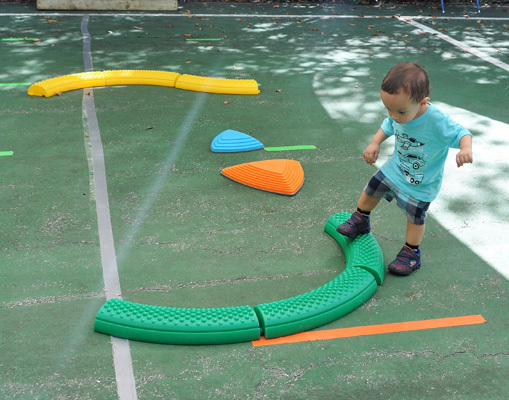 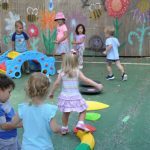 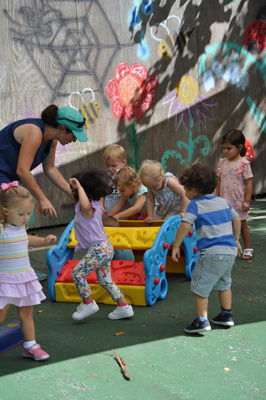 During the first weeks of school, the class was set up as a free-play environment, allowing the Toddlers to simply explore the stimulating and fun equipment, and to interact with me at a pace at which they felt comfortable. 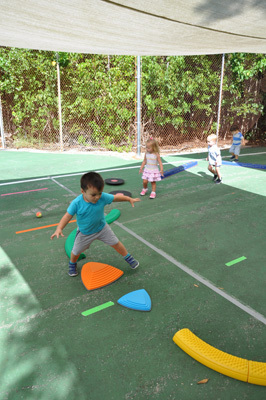 The equipment we use in Toddler P.E. 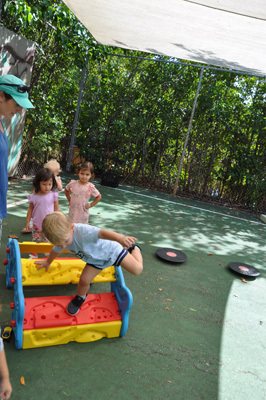 will help improve their locomotive, non-locomotive, and manipulative skills. 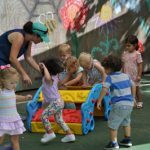 At this point in the term, the children have settled in and are comfortable with me, and our thirty-minute classes are becoming more structured. 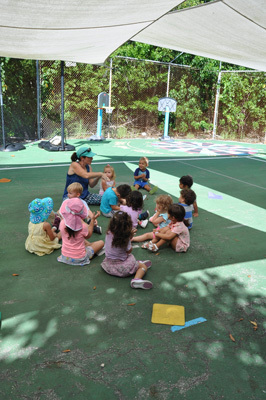 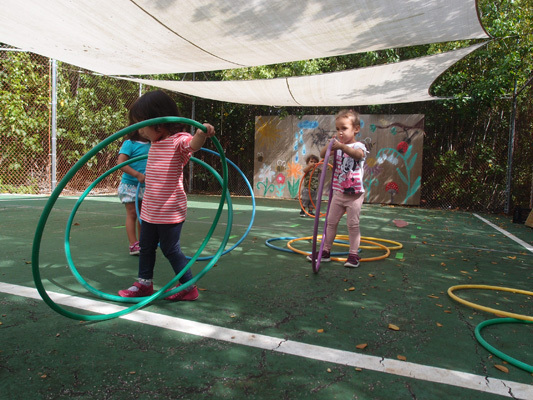 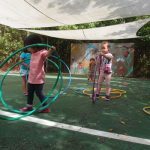 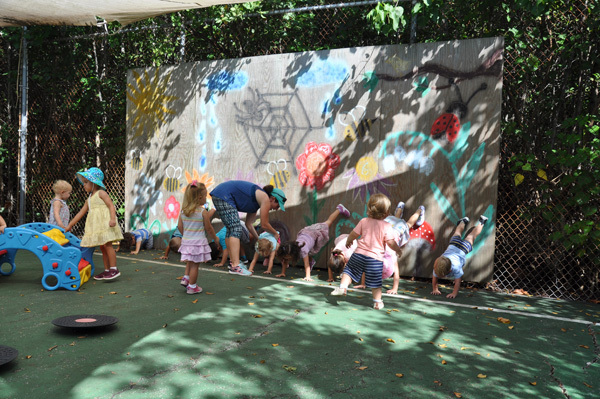 For the first ten minutes of class, the children complete a circle time, during which we work on non-locomotive movements such as stretching through song, followed by a guided circuit in which they climb, crawl, balance and jump. 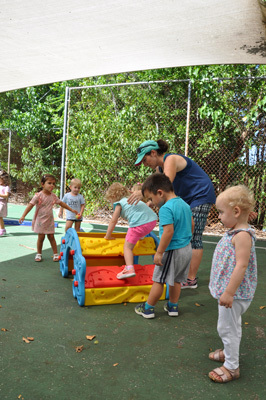 The last ten minutes are spent working on locomotive and manipulative skills. 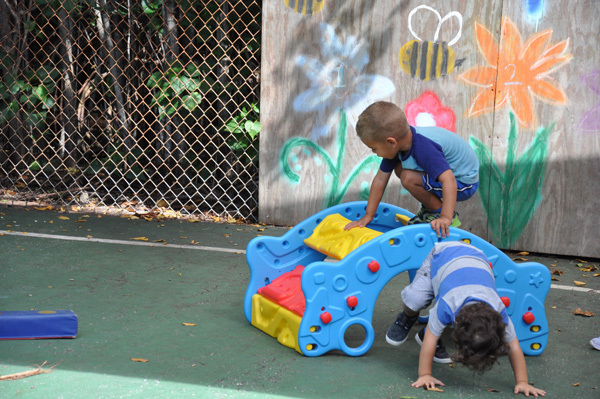 It is always astounding to be able to observe how much they are able to learn in such a short amount of time! 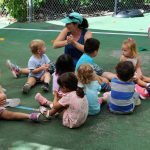 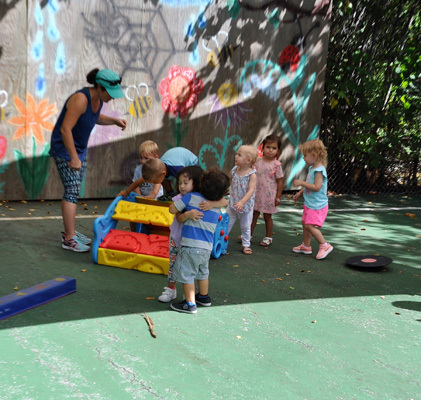 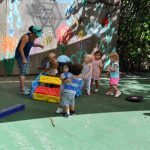 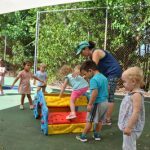 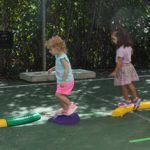 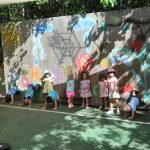 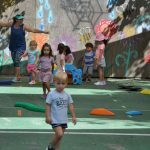 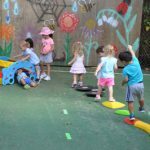 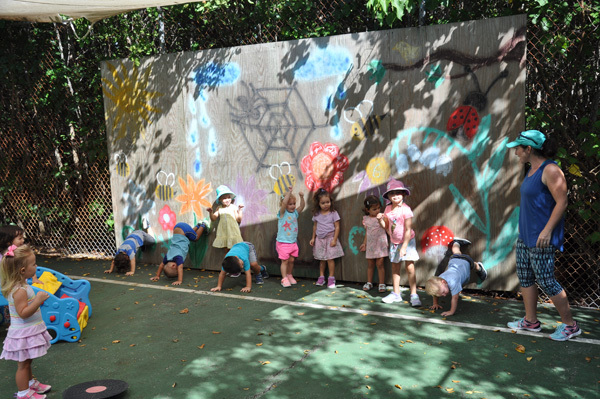 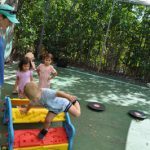 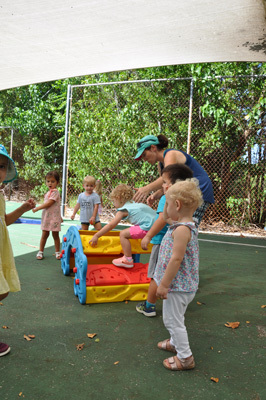 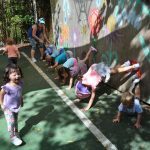 Working with our energetic and joyful Toddlers as they develop strength, coordination and concentration is truly a delight, and I look forward to their continued growth throughout the year.